Comments: Hard cover, 2012 Edition. Clean and unmarked on the inside. There is minor scuffing to cover tips and edges and a shallow impression on the back cover; otherwise, the book is in very good condition with crisp page tips and very few signs of use. The activation code seems to have been used, however. All proceeds from the sale of this item will be donated to the Jefferson Parish Louisiana Public Libraries. Comments: Edition: 6; Buy with confidence. Excellent Customer Service & Return policy.Ships Fast. 24*7 Customer Service. 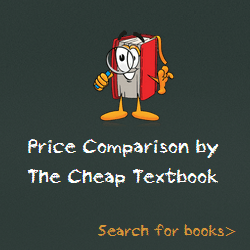 This entry was posted in Book and tagged 143771935X, 978-1437719352, Top Textbook 2018 on January 11, 2018 by Textbooks.